Established in 1992, the Covington Chamber represents a great group of businesses that love their community and we encourage you to support them with your business. We hope you find our website to be a valuable resource and encourage you to explore everything that our Chamber and community have to offer! Looking to become a new member of the Chamber? Look no further, we have your link here! Membership Directory, Events and payment portal. To enhance the demand for local business in our community through partnerships that foster a strong economy. 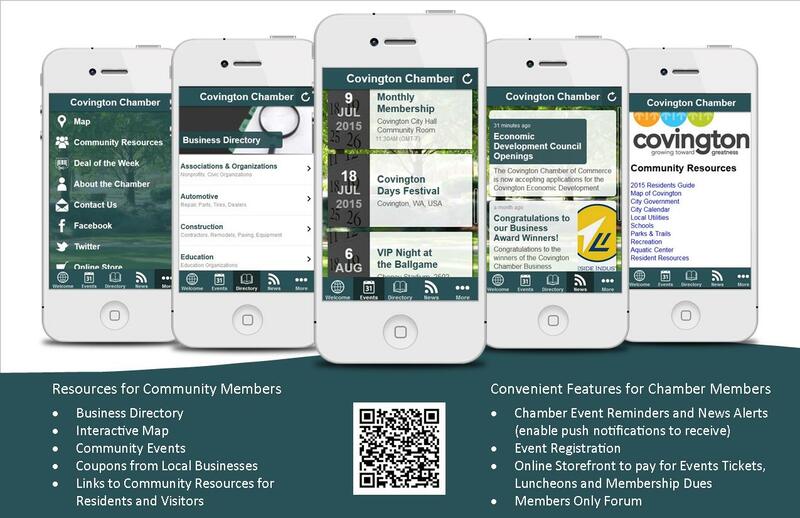 The Covington Chamber of Commerce is committed to actively promoting a strong local community.